Today I'm going to share with you some of the super helpful tools I've discovered that help make running my creative business a bit easier. I'm sure this will be an ongoing series as I discover new things. Confession: I'm kind of a junkie for techie things that help me run my business and fuel my creativity. So expect to see more. But for now, I hope you find these helpful. 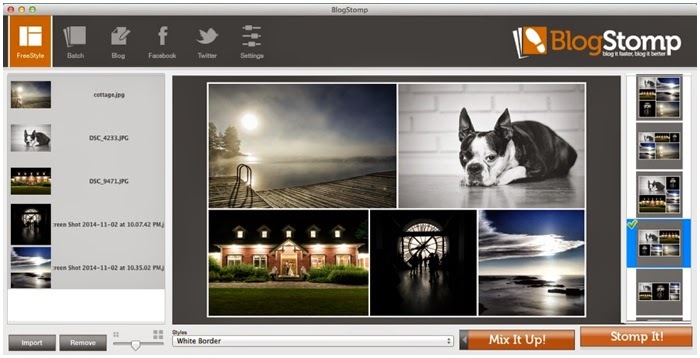 BlogStomp is my go-to tool for re-sizing images and collaging them together for both The Creative Wild and my photography blog. It's a desktop program in which you import whichever photos you want and can either slap them together using the Freestyle option, or resize them as stand-alone images with the Batch tool. You can even resize and direct post to your blog, Facebook, and Twitter right from the BlogStomp program. It has a free trial and the singe-user program is only $50. And worth every penny for the time it's saved me. Does it drive you crazy that you can't post from your computer to Instagram? It drives me bonkers. 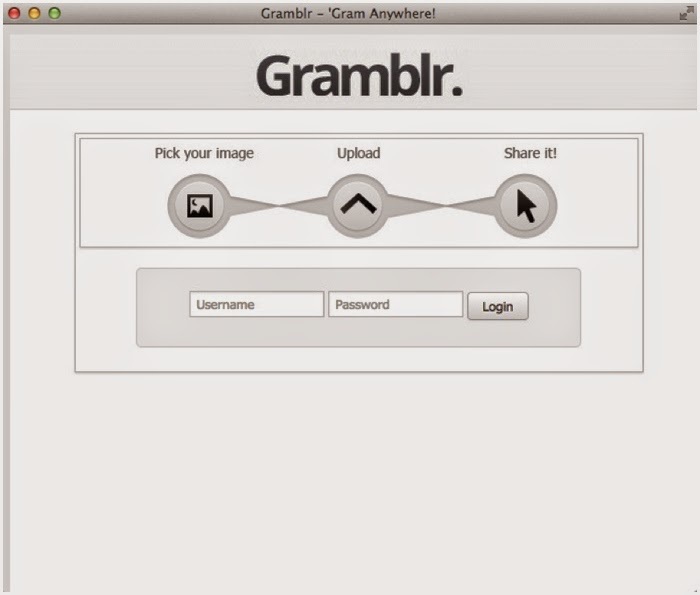 And while I still hope that will change someday, in the meantime Gramblr has stepped up and filled this gap. 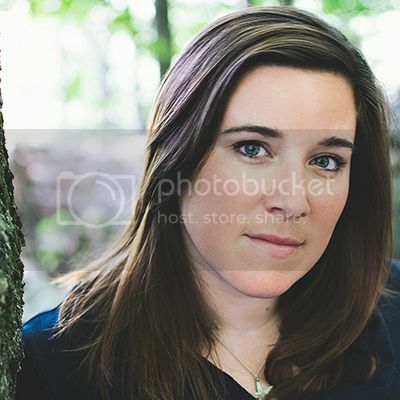 It's a simple desktop program that you log into, upload your image, and add your caption. You can also share to Twitter, tumblr, etc from the gramblr, but downside is that rather than include your caption, it just posts something to effect of "I just posted a photo on Instagram via Gramblr" and includes the link. Also a downside is that you have to manually resize your photos to 650px x 650px. But, at least you can upload a photo from your computer to Instagram. C'mon Instagram. Get on that. Okay, so this I love. Google Keep is an app and online program that basically is a note-keeping service that you can add images to, have checkboxes, etc. It's super user friendly and as long as you use the same google account, it syncs between the app on your smartphone and the on-line version. I often have ideas for photoshoots, ideas for the blog, a vision of something creative I want to complete, etc, that pop into my head at random times. Because these ideas often leave as quickly as I think of them, I write them down immediately. Because I'm pretty much always within arm's reach of either my computer or my smartphone, I use Google Keep. It's absolutely the best tool. I love it. I've talked about Design Seeds here on TCW before, and even used to post a colour palette on a semi-regular basis. Design Seeds is a website features daily colour palettes, and it's excellent for colour inspiration. There are endless colour combinations inspired by the environment around us. It's hugely helpful for creatives in their design process. Hootsuite is THE social media tool. With Twitter, Facebook, tumblr, Instagram, etc, etc, etc, it can be maddening to try to keep on top of it all in our creative businesses. Hootsuite lets you post across a variety of platforms, schedule posts, and follow along with others. I mostly use it for it's schedule function. It allows me to sit down in an afternoon and schedule all of my posts for the week. Just to be clear, this really only happens when I'm super organized. Which is only about 6% of the time. But in theory, I would schedule things all the time and be a social media master, with the help of Hootsuite. What tech-related tools can you not live without? Please share!